“The view from my terrace is spectacular in every direction. I am surrounded by mountain peaks, stars, and fresh, clean air.” Former New Yorker, Mindy Dickinson, lights up as she describes her new home in Cotacachi, Ecuador, just two hours north of Quito. She found Cotacachi to be just the right fit. “Life is oriented toward being outdoors. The weather here makes it amenable to being out every day of the year. You can walk to the family-run corner store to get eggs, milk, and all of your basic needs. In some ways, it feels like going back in time. People seem more relaxed and friendly. “Many people describe Cotacachi as ‘tranquilo’ (peaceful) and I wholeheartedly agree with that,” Mindy says. And if she temporarily desires the excitement of a crowd, South America’s largest outdoor market takes place every Saturday in Otavalo; a $0.35, 15-minute bus ride away. Mindy also started volunteering to teach English at a local school for adults, and now she gets paid for that too. “Learning the language isn’t necessary, but it is helpful to get to know people and to find the best deals.” Mindy says there are many apartments for $300 to $500 a month that compare to the one she left in the U.S., which was $1,300 a month. “Depending on what you ‘need’ and the standard you expect, it is possible to live on $1,000 to $1,200 a month. Expats are required to buy public health insurance, which costs between $90 to $120 a month or more, depending on your age and coverage needs. Be prepared to pay out of pocket for everything at first (but costs are low). As with everything, do your research,” Mindy says. “I feel I’ve received better medical attention here than in the U.S. Doctors treat you like a whole human being, taking the time to sit and talk during appointments. 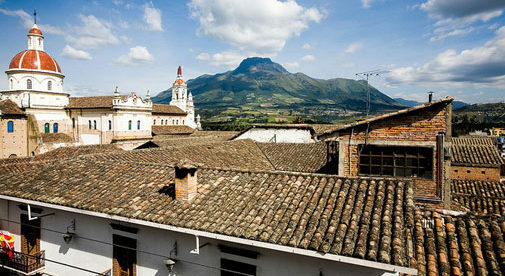 And if you need a specialist, Quito is only two hours away.